JASNO folds are different from any other roman blind you will have seen. The textile is produced from woven paper. This gives the folds a tough and durable look. Perhaps the most eye-catching element of the folds is the wooden strips. 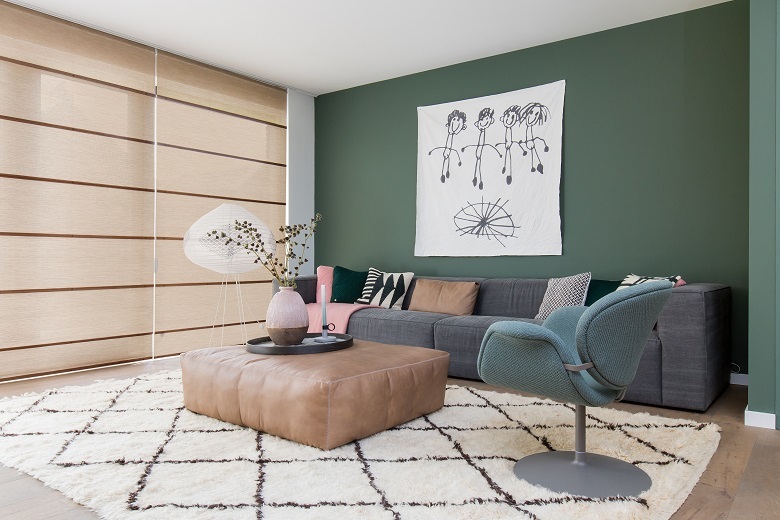 Match the colour of the textile to the wooden strips for a quiet look, or go for a more contrasting colour combination to make your window a real eye-catcher. Also watch out for the details in the folds, such as the tiny buttons on the strips or the way the paper is cleanly integrated in the headrail. 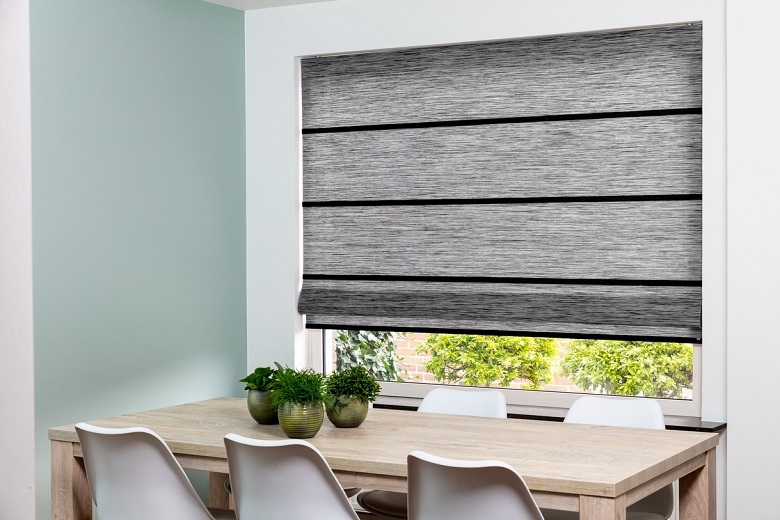 The JASNO folds of course match perfectly with our shutters, blinds and the vertical blinds. 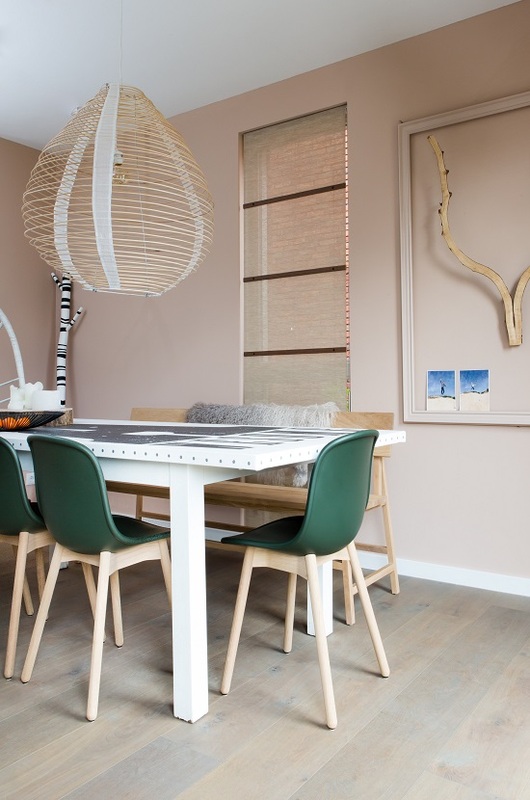 JASNO folds are an attractive Dutch Design feature for your home. JASNO invited studio Daphna Laurens to come up with an innovative new design for window decoration. The JASNO folds are the result of this collaboration. Characteristic of the JASNO folds is the simple, clean and contemporary design, fully in line with the JASNO style. Studio Daphna Laurens designs and manufactures characteristic products that combine geometric shapes, natural materials and colours. Among the best-known designs from studio Daphna Laurens are probably the Table Pieces. What is the price of the roman blinds? For a price quotation, visit one of our dealers. 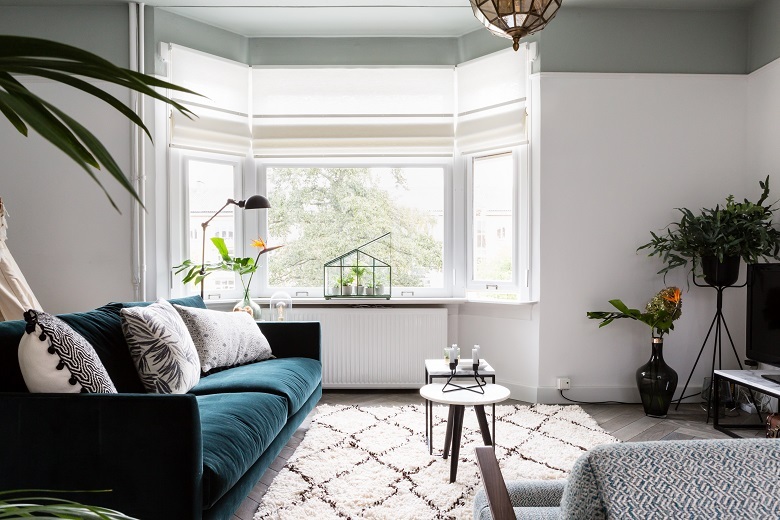 Where can I buy roman blinds? Our folds are sold by dealers throughout Europe. Our custom window decoration can be viewed at the showroom of the dealer, who will be happy to provide any advice you need. As a pleasant bonus, the expert dealer will measure in the windows in your home and install the folds. 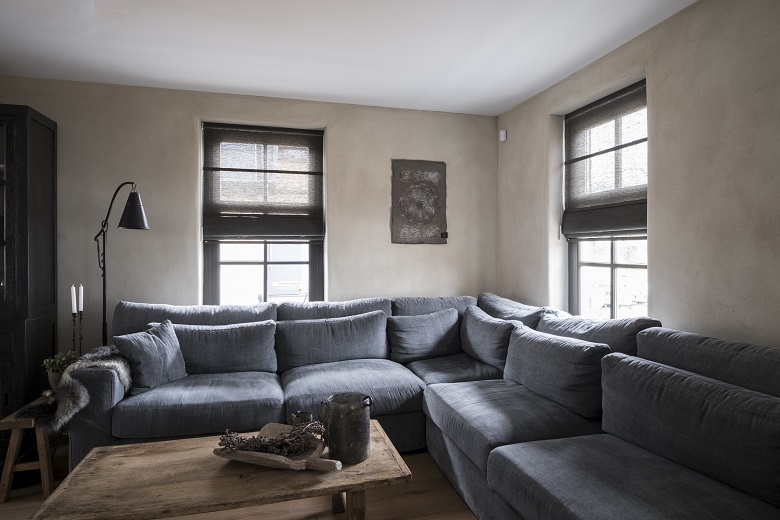 What kinds of roman shades are available? You compose your own folds by selecting from a choice of three transparencies. You can choose from the semi-transparent, light-permeable version; the light filtering variant with its subtle daylight effect, or the full blackout version. Whatever you choose, the woven paper will lend the sunlight in your home an added glow of warmth. You then select a combination from the different colours of woven paper and wooden strips. 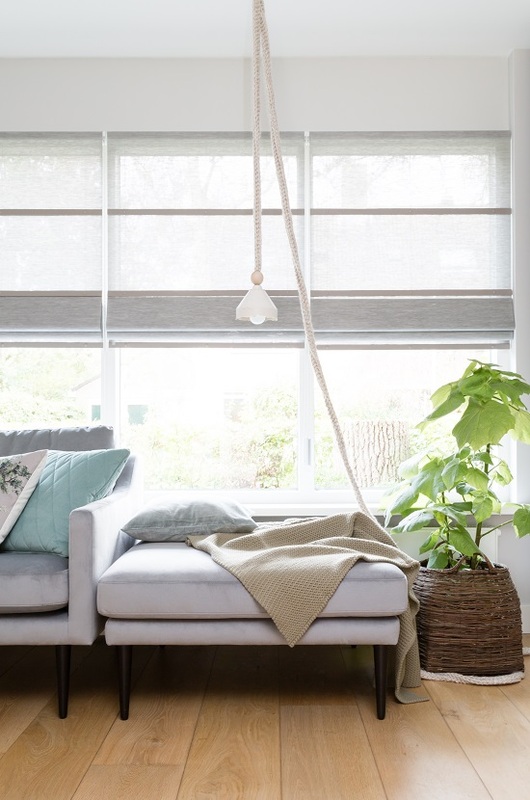 Match the colour of the textile to the wooden strips for a quiet look, or go for a more contrasting colour combination to make your window a real eye-catcher. It is even possible to apply different strips to front and back. The result is a folding curtain tailored to match your wishes. Textile: the woven paper is available in fantastic colours, each with a high level of colourfastness. The wooden strips are made from Abachi wood, 100% FSC produced. Headrail: the textile is neatly integrated in the headrail, without relying on Velcro strips. The result is a clean finish. Operation of the folding curtains: the metal operating chain is fitted with a child-safe fitting. As standard, the folds are provided with a transparent fitting, that matches any interior. It is possible to remotely operate folds, using the Somfy operating system. Ideal for difficult-to-reach windows or for the simultaneous operation of several folding curtains! Design: the unique buttons on the strips ensure clean guidance of the operating cords at the back, while at the same time giving the folds a true design look. Valance: the folds come with a valance that protects the fabric against discoloration. In combination with the always visible bottom rail, the valance gives our folding curtains a more luxurious look. Finish: the edges are finished with transparent PU to prevent fraying. Dimensions: folds are available with a height of between 50 cm and a maximum of 3.20 m, and a width of between 37 cm and 2.40 m.
Semi-transparent roman blinds will create a remarkable light effect in your home. This standard fold type ensures a unique interplay of light while enabling you to look out from inside and in from outside. Select one of the six natural colours of semi-transparent woven paper. Select the colour of wooden strips for front and back. 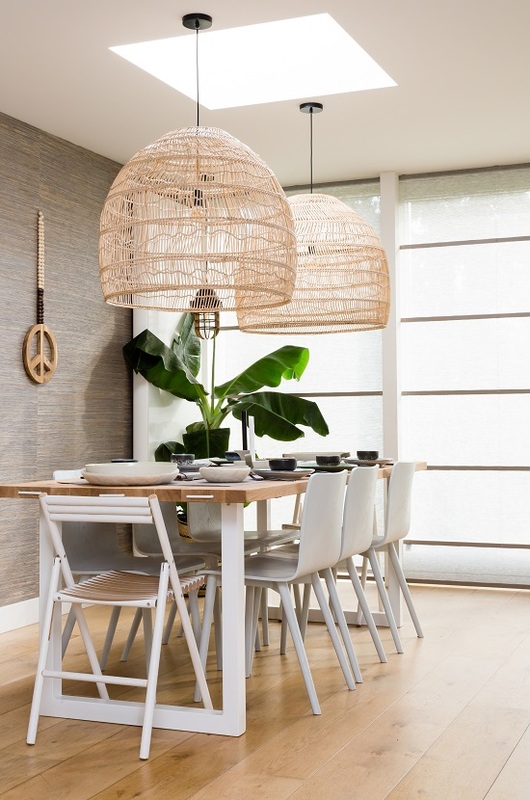 Light-filtering folds create a more subtle light effect. These folding curtains are produced from more densely woven paper, and allow less light to penetrate into your room than the semi-transparent version. The light-filtering version also prevents people looking in from outside, in the evening. Select one of the 11 colours of light- filtering woven paper. Blackout folds guarantee a full blackout effect. These folds are ideal for covering windows in rooms where you want to keep out the light, for example the bedroom. Select a colour of semi-transparent woven paper. This determines the look of the front of the folding curtain. Then select a colour of blackout fabric. This fabric is placed on the back of the woven paper and held in place by the wooden strips. This fabric also determines the look of the back of the folding curtain. 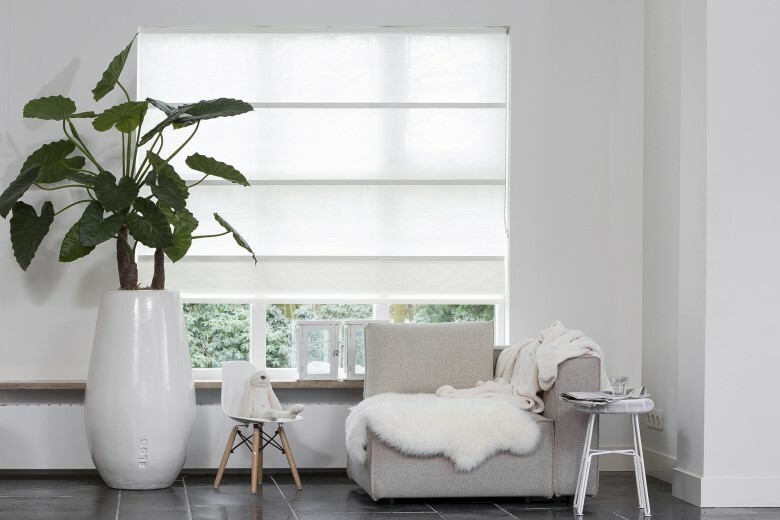 Why choose JASNO roman blinds? Choosing JASNO means opting for sustainability, service, quality and comfort. We offer a full two-year guarantee on the textile and three years on the wooden strips, the headrail and the operating mechanism. Maintenance of the roman shades could not be easier. Simply dust the woven paper with a brush or vacuum cleaner at the lowest setting. JASNO folds are different from other folding curtains, and that is something we are proud of!